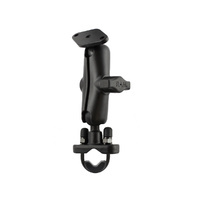 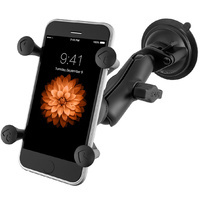 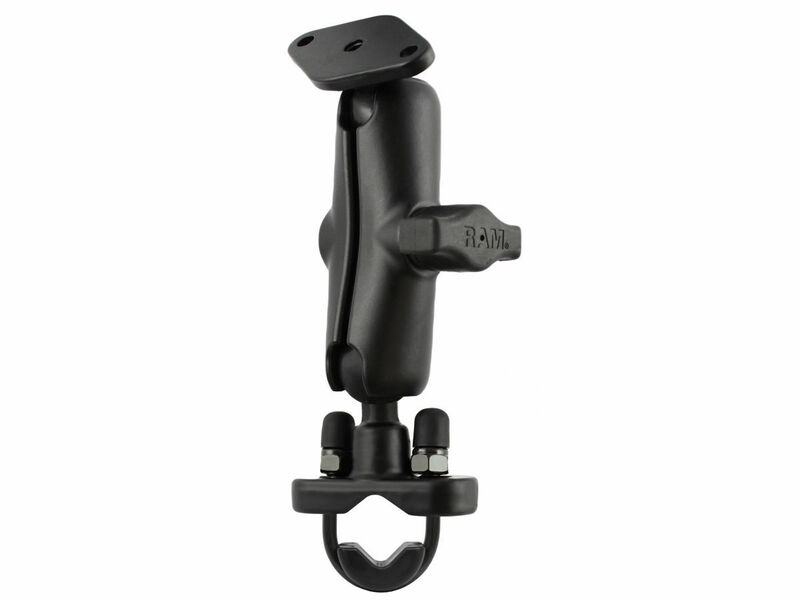 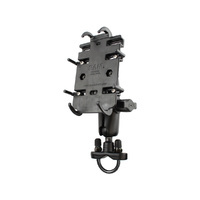 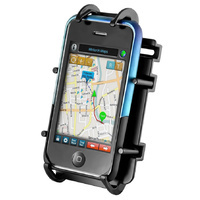 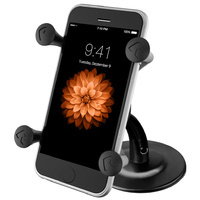 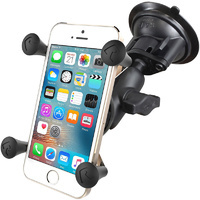 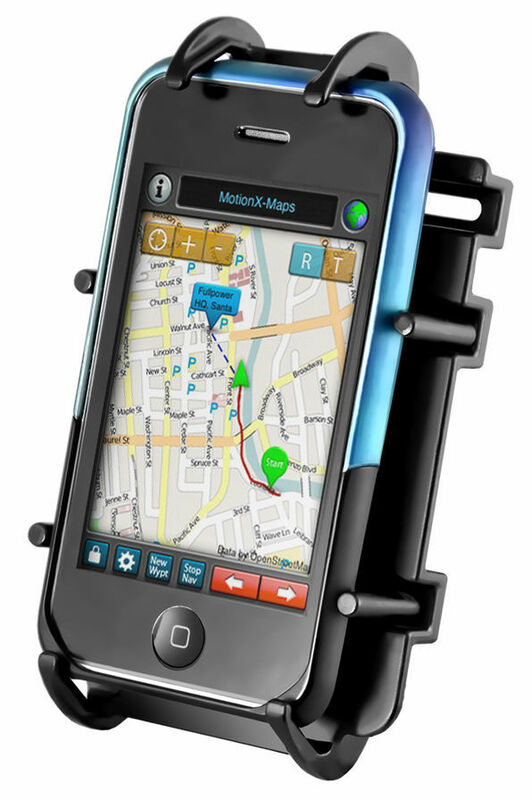 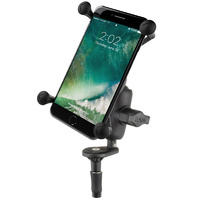 The cradle is designed to hold a large amount of different kinds of cell phones and small electronic devices. 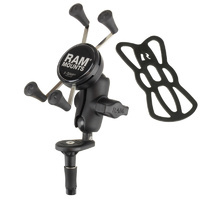 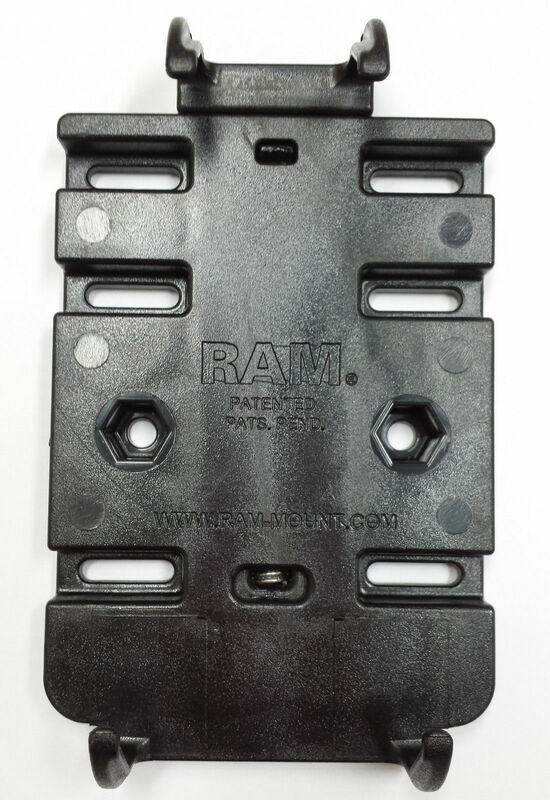 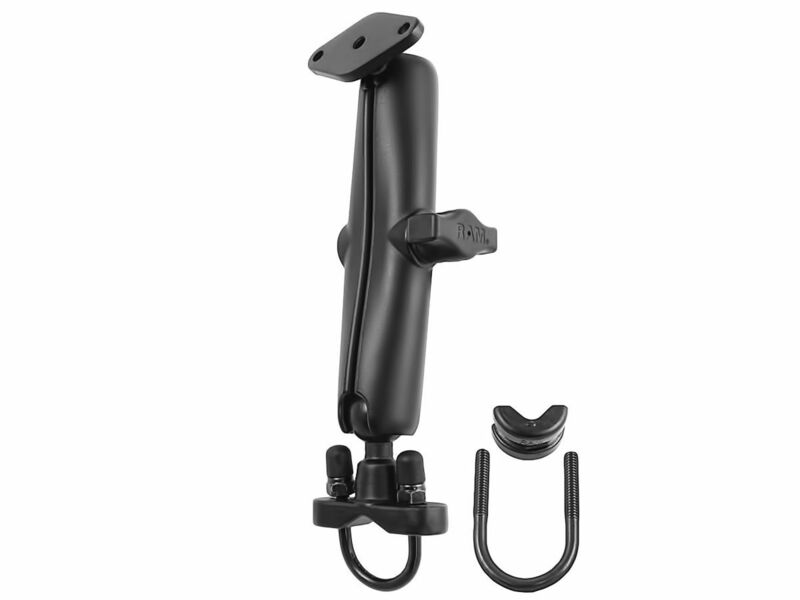 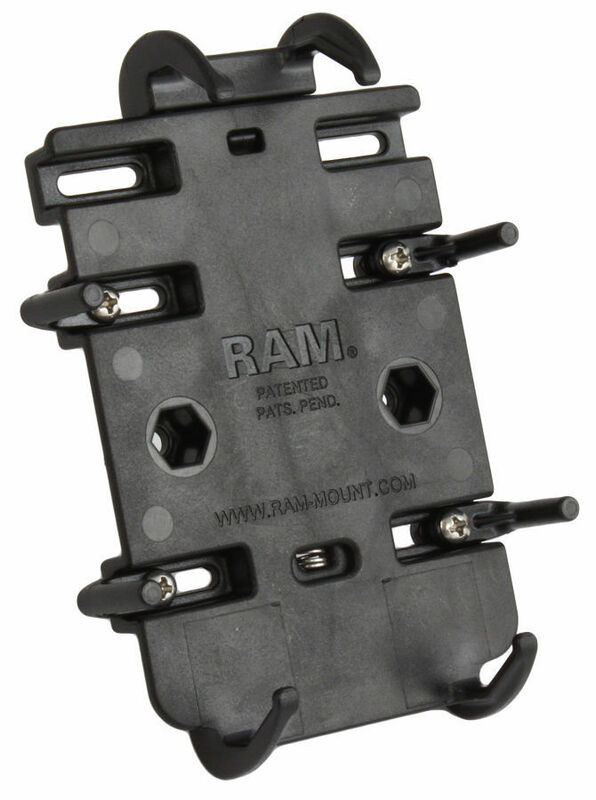 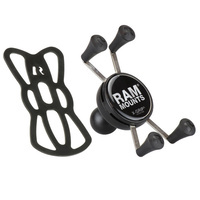 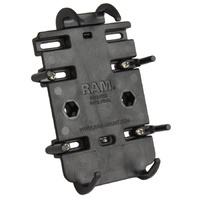 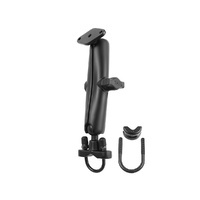 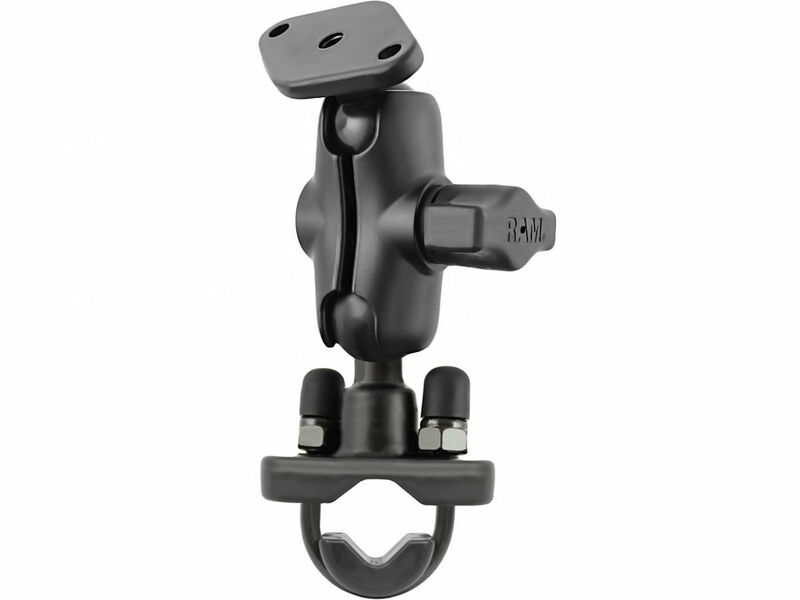 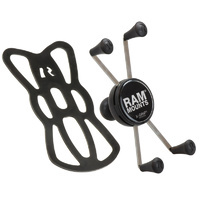 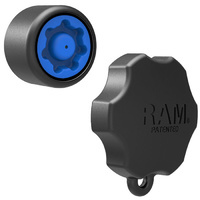 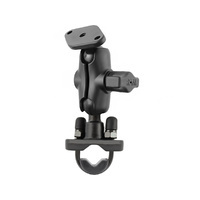 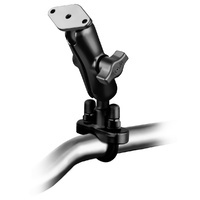 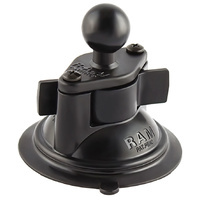 Height Range: 4.75"" - 6.25""
Width Range: 2.25"" - 3.25""
The RAM motorcycle handlebar base contains a 1"" rubber ball designed to sit at right angles to the mounting rail. 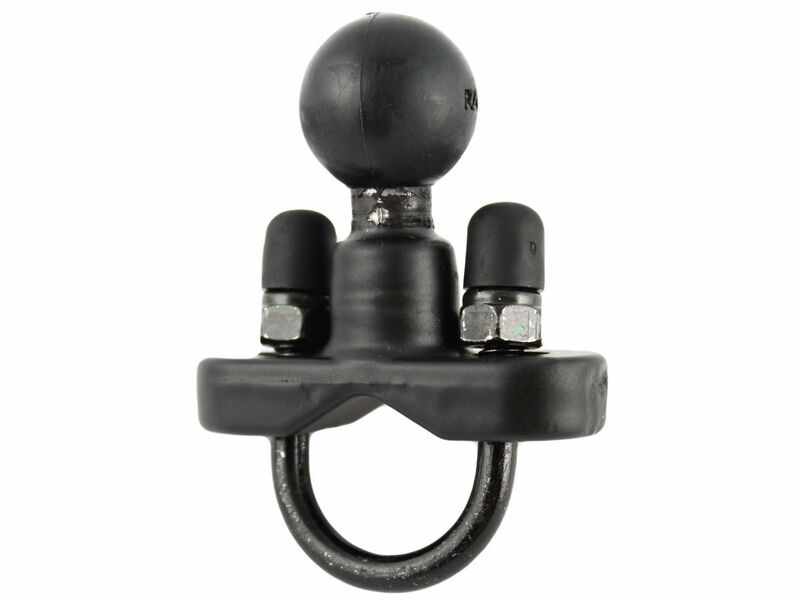 The Zinc coated metal u-bolt accommodates rails in diameter from 1.27cm (0.5"") to 3.18cm (1.25"") in diameter. 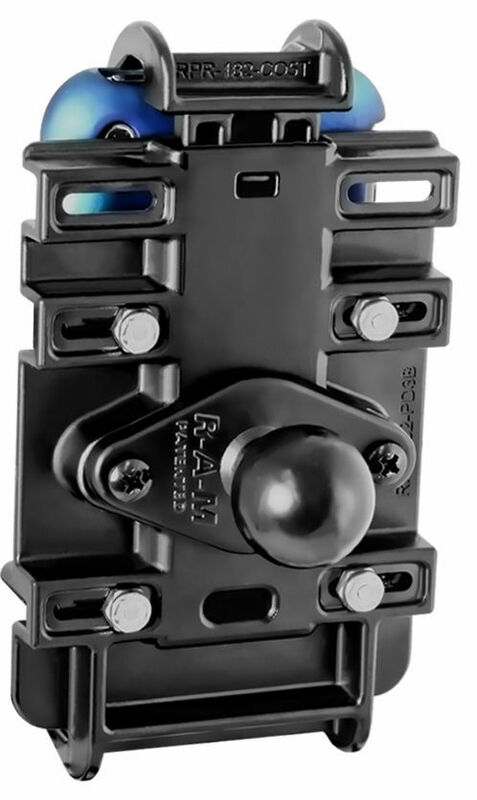 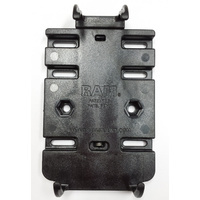 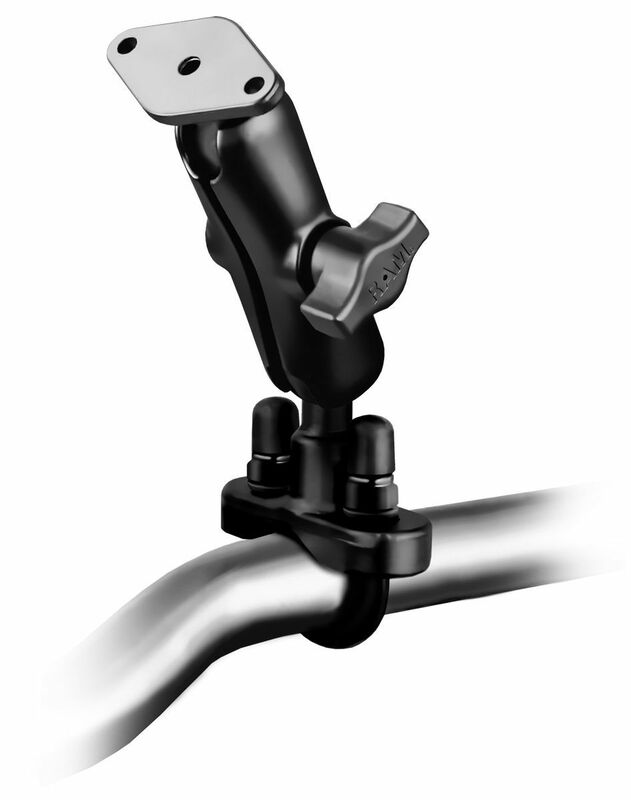 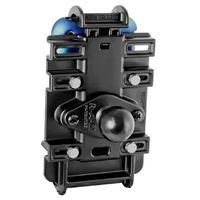 Included are black cover caps to be placed over the exposed ends of the u-bolt and a composite adapter that can narrow the rail to a minimum width of 0.5"".